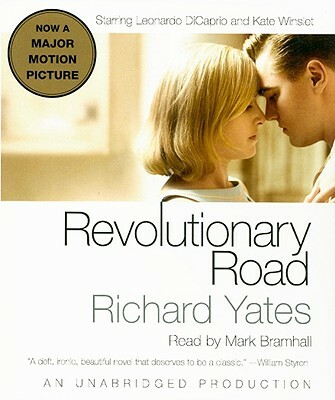 Richard Yates' 1961 classic is so much more than the on-screen reunion of Leo and Kate. April and Frank Wheeler are suburban perfection, a middle-class family who seems to have it all but fumble for more. Yates writes with heartbreaking clarity about identity, familial roles and dreams just out of reach. The truth revealed and the suspense created linger long after the last page. From the moment of its publication in 1961, Revolutionary Road was hailed as a masterpiece of realistic fiction and as the most evocative portrayal of the opulent desolation of the American suburbs. It's the story of Frank and April Wheeler, a bright, beautiful, and talented couple who have lived on the assumption that greatness is only just around the corner. With heartbreaking compassion and remorseless clarity, Richard Yates shows how Frank and April mortgage their spiritual birthright, betraying not only each other, but their best selves. In his introduction to this edition, novelist Richard Ford pays homage to the lasting influence and enduring power of Revolutionary Road.